Do you own the latest Android smartphone or tablet? Or did you recently upgrade your Android OS version? 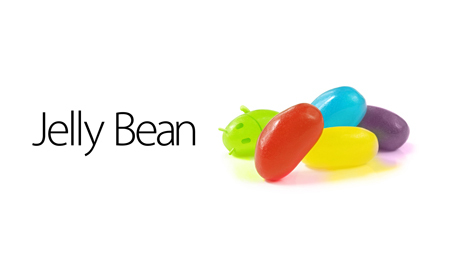 Then go through this article to know about six Jelly Bean tips and tricks that will charge you and your android device up like nothing else! Google Now is one of the major highlights of Jelly Bean – the incremental upgrade of Android OS; it provides users the required information at the right time and saves them the effort to specially search for information at the last moment. You can quickly launch Google Now and use it right from the home page (or even when you are using other apps). The trick: Long press the Home button on the home page, which will prompt a white semicircle to pop out (with the Google Logo printed on it). Just drag your finger towards this logo, and voila! Google Now will launch almost instantly! The Tip: Alternatively, you can also press the Back button or the Apps Drawer button on the main page and repeat the same action (of dragging your finger towards Google logo). Jelly Bean consists of Android’s trademark slide-down notification bar. However, it consists of many interesting changes such as – quick alerts, sharing option, expansions and previewing some of the notifications. The Tip: If you don’t want to be bugged constantly by any notification, then simply swipe the notification bar sideways and you’ll be relieved of that particular notification and continue with your work. Face Unlock is one of the best things to happen to Android devices in terms of making your mobile devices more personal. Jelly Bean adds an option called ‘Liveness Check’ to the Face Unlock feature. Now, to unlock your device, you don’t only have to face the camera, but also ‘blink’. This is to prove that it is the rightful owner, who is unlocking the device and not an imposter, who can hold up a static photograph of the owner to unlock it. Now this is what I call an enhanced security feature! The Tip: However, do set a Pattern Unlock as an alternative, because in case the Face Unlock feature fails to detect a blink, you can always unlock your device using the pattern (set by you). Jelly Bean consists of an in-built screenshot taking functionality without the need of rooting your device or downloading and using third-party apps. The Trick: If you want to take a screenshot, just press the ‘volume down’ and ‘power buttons’ together and your device will take the snapshot of the screen and notify you (in your notifications). After this, you can easily edit the screenshot taken and even share it. Deleting an app on Android devices required users to Long press an icon till it became editable and then drag that icon in the ‘Trash bin’ that appeared on the screen. Not anymore! The Trick: If you need to remove any app from your device, then simply long press and fling it upwards. That’s all, your app will be deleted when you take this action. With Google Now – one of the most prominent features of Jelly Bean, the text-to-speech feature has become more powerful. However, if you do not wish to use this feature, then you can simply turn this feature off. The Tip: Go to Settings>language and input>voice search>speech output. Toggling the ‘Speech output’ option (available only in the hands-free mode) will allow you to turn on or off the text-to-speech feature. These are some of the basic tips, which you can use on an Android Jelly Bean device. You can even search for more such tips and tricks on various websites and use them as well. Also take a screenshot by swiping your palm from the right-side of the screen to the left.